California should consider a wide range of policies and law changes to tackle the state’s wildfire crisis — including controversial revisions to state liability laws and potentially breaking up PG&E — Gov. Gavin Newsom said Friday. The ideas come in a 58-page report — the work of a "strike team" the governor created 60 days ago — that Newsom unveiled Friday. 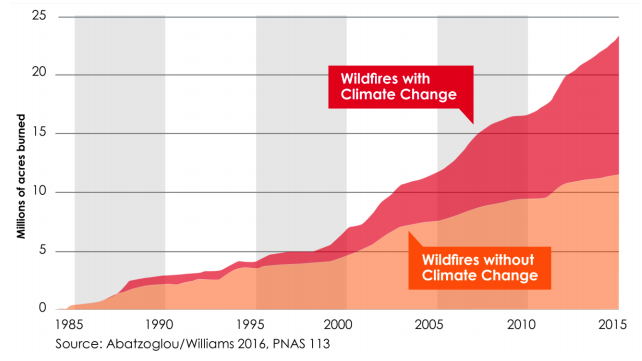 The report sets out a "roadmap to confront the challenges of catastrophic wildfires," including both longer- and shorter-term goals, but identifies one central question as the most “vexing” and immediate: Who should pay for the damage wildfires have caused and are likely to continue to cause? Newsom's team lays out three potential answers to that question, and urges lawmakers and other state leaders to begin debating them immediately and pass legislation on it within 90 days. 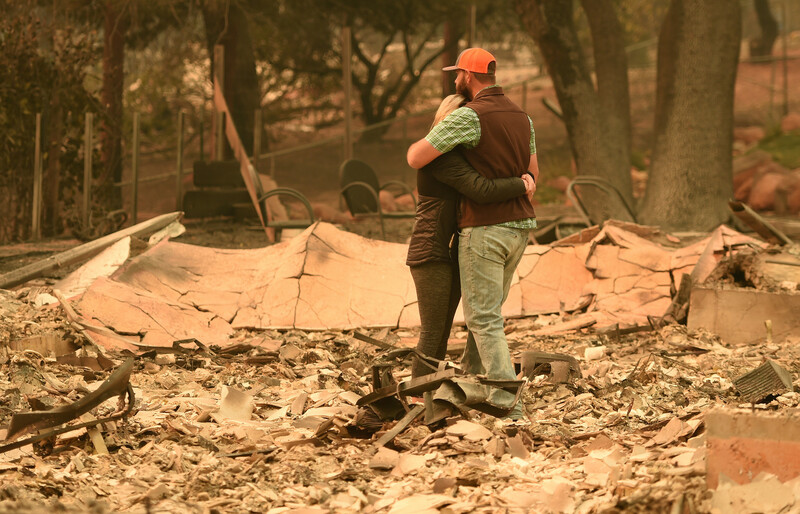 The report has harsh words for PG&E, the state’s largest utility, that is blamed for some of the most destructive wildfires in recent years and filed for bankruptcy protection in January. The governor’s office declares that no options are off the table, including breaking up PG&E into smaller utilities or making it a government agency. "We have to hold PG&E accountable," Newsom declared. "I just want folks to know we are watching, and I expect the investors that are involved in PG&E to participate in the solutions. And I expect PG&E is going to get serious and no longer misdirect, manipulate and mislead the people of California." 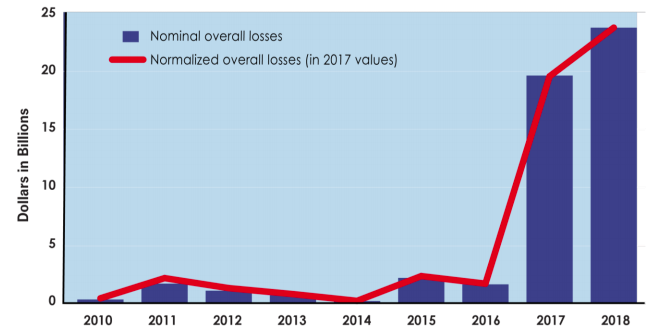 The report dedicates an entire section to the utility, saying its decision to voluntarily file for bankruptcy protections "punctuates more than two decades of mismanagement, misconduct and failed efforts to improve its safety culture." The report notes that equipment owned by utilities in California has sparked more than 2,000 fires in the past four years, and states that they "must be part of the solution to this problem." 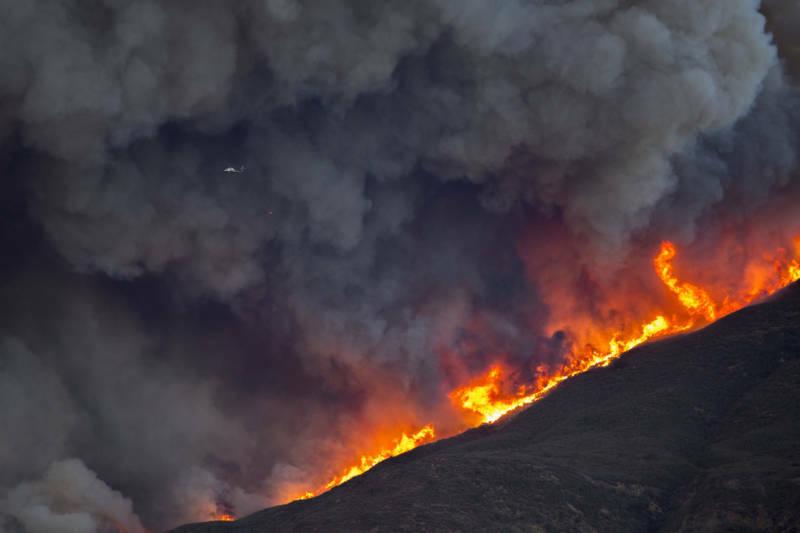 It calls for all utilities to make investments and equipment updates to reduce fire risk — but also argues that the state’s "current system for allocating costs associated with catastrophic wildfires — often caused by utility infrastructure, but exacerbated by drought, climate change, land-use policies and a lack of forest management — is untenable both for utility customers and for our economy." But it’s the question of who will reimburse fire victims that Newsom said needs to be tackled immediately. The most controversial idea in the report is a change to a state liability law, known as "inverse condemnation," which holds California utilities responsible for wildfire damage caused by their equipment, whether they or not they acted negligently. The report calls the law bad for everyone and suggests changing it so that utilities cannot be forced to pay for fires if they have properly maintained their equipment. The report said the law makes the utilities less financially stable, because investors are skittish; it threatens victims' ability to get reimbursed for damages; it "undermines" the state’s ability to fight climate change; and creates uncertainty for utility employees and contractors. This strict reading of liability, coupled with the uncertain and lengthy process for recovering funds at the California Public Utilities Commission, led to PG&E’s stock plummeting after the 2017 North Bay fires and 2018 Camp Fire, the report argues, because investors assumed PG&E would be liable for billions of dollars in damages whether it was responsible for starting the fires or not. This option, which lawmakers rejected last year and many critics see as a utility bailout, would be vehemently opposed by wildfire victims and insurance companies, and would be difficult to get through the Legislature. Newsom acknowledged that a reform to inverse condemnation is not only controversial, but difficult to change on a practical level, because it’s enshrined in the state's constitution. "One thing [to] understand about strict liability, you can't just easily reform it,” he said. “You need to change the constitution, or you can petition the California Supreme Court” to consider reinterpreting the law. That process would take months or more, Newsom said, but he argued that the conversation still needs to happen. The report also lays out two other options for paying wildfire victim claims. One is a "liquidity-only" fund that would be aimed at stabilizing the credit ratings of the major utilities. The money for that fund would come from a charge on ratepayers and could be dispersed to wildfire victims if a utility starts a fire. Shareholders could also potentially be on the hook. Who pays for replenishing the fund would depend on whether state regulators determine that the utility acted responsibly or not: If they did not, shareholders would pay back the money, and if they did, ratepayers would be charged. The third concept is one that has been percolating in the Capitol for months: A wildfire insurance fund "that would create a buffer to absorb a significant portion of the wildfire liability costs that might otherwise be passed on to ratepayers under existing law and regulation while providing time for mitigation efforts to be advanced." This idea would require buy-in from utility shareholders, who historically have not paid for insurance policies. It would also require insurance companies to agree to cap the amount of money they would try to get reimbursed for. Under this proposal, state regulators could still fine utilities that act negligently, and those fines would go into the fund. The fund would be used only to pay claims of utility-caused "catastrophic" wildfires — a term that would need to be defined — and would not include claims for smaller blazes, which would still be handled through normal utility insurance policies. The report also makes several recommendations on how to streamline "time-consuming" regulatory proceedings. The California Public Utilities Commission (CPUC) regulates utilities in California, along with a broad array of industries, including many aspects of daily life, from texting to Uber. CPUC employees and advocates have long complained that the regulator doesn’t have enough staff to handle its vast workload. The CPUC traditionally has been responsible for ensuring fair and reasonable rates. To do that, most proceedings before the commission go through lengthy legal proceedings overseen by a judge. That includes the newly created wildfire mitigation plans and general rate cases. Expand the regulator’s budget so that the agency can hire more staff, contract with consulting firms and work with universities. Streamline operations by allowing commissioners to shorten proceedings, creating less onerous procedures and increasing the safety division’s enforcement authority. Examine and implement best practices in other high-risk regulatory agencies, such as nuclear power. While Newsom didn’t endorse any of the proposals in the report, Wall Street reacted positively. PG&E stock shot up nearly $3, or about 20 percent, over the course of the governor’s news conference, and a vice president at one of the main bond rating agencies — which has been sounding the alarm on the need for reforms — said the report is a step in the right direction. Lawmakers also praised Newsom for taking on the complicated and difficult debate. Senate President Pro Tem Toni Atkins, D-San Diego, called the report "thorough, substantive and well-researched," and pledged that lawmakers will act, with an eye on protecting ratepayers, fire victims and ensuring reliable electric service. "This report confirms our fear that ratepayers are on the hook for large rate increases if we do nothing," she said. "The Senate will be diving into the details of the report over the coming weeks and we will ensure an open and transparent process in developing solutions." And Assemblyman Chris Holden, D-Pasadena, who chairs the Assembly Utility Committee, called on everyone involved to come to the table. "All stakeholders will have to sideline their agendas and step up as Californians to fix this problem, and I’m ready to roll up my sleeves and do the hard work necessary," he said. "At the end of the day, we need stability in our utilities to keep the lights on."